Description: This event is now SOLD OUT. Hydrangeas are a major component of Southern gardens and the hallmark of Aldridge Gardens. This hands-on workshop will teach you an easy way to propagate hydrangeas for yourself. 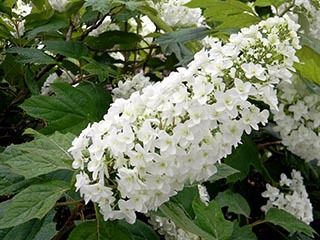 Class members may root up to three fresh hydrangea cuttings to take home. Please bring a CLEAR, empty 2 liter plastic soda bottle, your pruners, and a pair of scissors for trimming leaves.